The island of St. Thomas in the Virgin Islands archipelago is said to be one of the most beautiful places in the world, with views that have made National Geographic’s top ten dreamy list. The island is home to over 51,000 people and famous for its beaches and snorkelling. Attractions include Magens Bay, Mountain Top and Blackbeard’s Castle. Cheap flights to St. Thomas are now available for a limited period of time, so get ready for an unforgettable Caribbean adventure! St. Thomas is home to Cyril E. King Airport (STT), which is a 10-minute drive from Charlotte Amalie’s city centre. Hire an underwater submersible scooter or snorkelling gear for an unforgettable experience that takes you beneath the shimmering waves. Explore reefs and meet colourful marine creatures. Magens Beach is a tropical oasis with soft blue waters and velvety, white sand dotted with coconut palms. On a quiet day you may find the pelicans fishing for a snack as you paddle-board in the calm waters. Nothing beats the views from the summit of Mountain Top in St. Thomas. Visitors can look out to over 20 neighbouring islands or stop at Drake’s Seat for a gorgeous view of Magens Bay, a world renowned beach. November to March is peak season on the island, so you will find large amounts of tourists who stop over on the passing cruise ships. The weather is good all year, with warm to hot temperatures permeating the island and offering idyllic weather for beach days, water sports, and exploring. Though there has not been a major hurricane on the island since 1995, be aware that hurricane season is from June to October. The rainy season is from August to December. St. Thomas is the tropical playground of the Americas. The island forms part of the U.S. Virgin Islands, an archipelago that basks in the warm Caribbean Sea and is known for its beaches and snorkelling. The capital and port city of the US Virgin Islands, Charlotte Amalie, is located on the island. If you’re looking for gorgeous beaches and some great island activities, then you’ve chosen the perfect place. The beaches of St. Thomas are some of the best in the world. 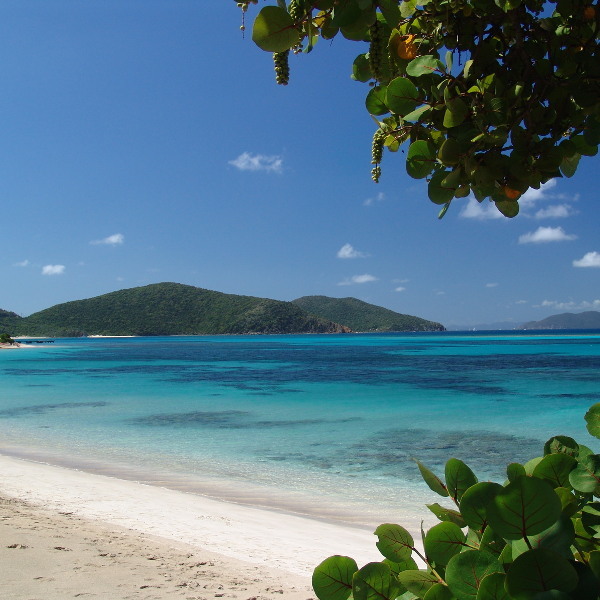 Be sure to sink your toes into the soft sand of Magens Bay, Lindquist Beach, and Sapphire Beach. Let’s not forget about the views from St. Thomas that gaze over more than 20 tropical islands and islets. Mountain Top is 1500 feet above sea level, with the views from the summit been voted as some of the best in the world by National Geographic. 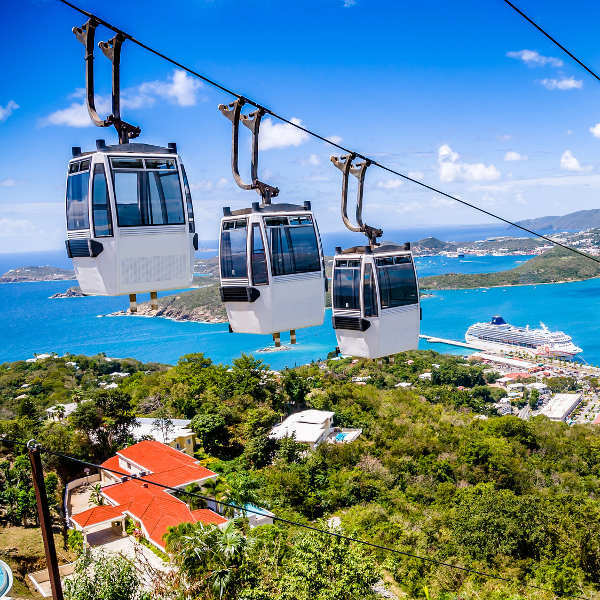 For a sense of adventure, and to see the island from above, try the cable car ride that towers over the tree canopies. Or for those looking to get their blood pumping, try the zip-lining across eight elevated platforms. Water sports are a big attraction on the island. 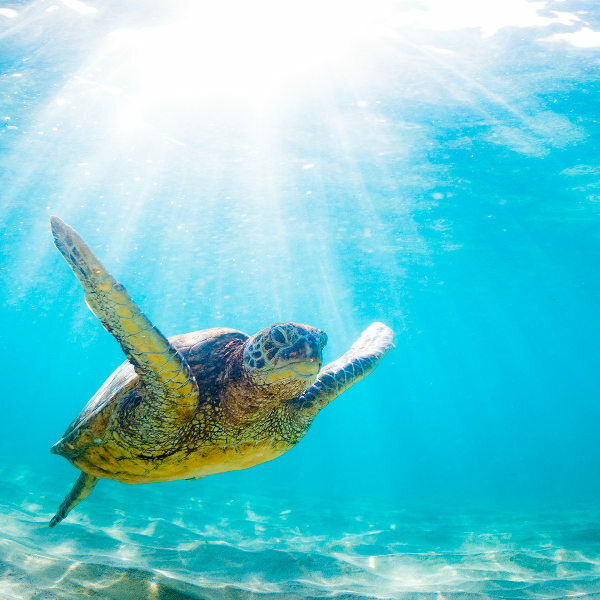 With marine animals in abundance, you can certainly spot some dolphins, turtles and rays, beneath the glittering waves. Try a unique experience with an underwater submersible scooter or do some snorkelling to get even closer! Compare several airlines, and book your cheap flights to St. Thomas online at Travelstart! St. Thomas is a safe island with very few crimes. However, as with any unfamiliar destination, it is always a good idea to be aware of your surroundings and keep valuables in a safe place. Pregnant women should avoid travel to St. Thomas, as Zika virus is a risk on the island. Chikungunya virus and dengue fever are also a risk, so precautions should be taken to avoid mosquito bites. Other routine and recommended vaccinations include: hepatitis A & B, typhoid, and rabies. Watch out for urchins, jellyfish, and lion fish when snorkelling or swimming in the ocean.